The state of Nevada has more BLM land than any other state. 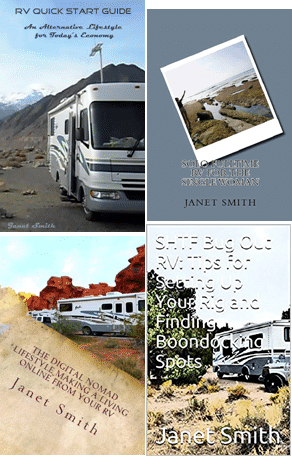 As a result, this provides hundreds of camping opportunities, both in Northern and Southern Nevada boondocking. We usually see the pictures of mountains covered with snow, red stone rocks, and glass topped lakes. 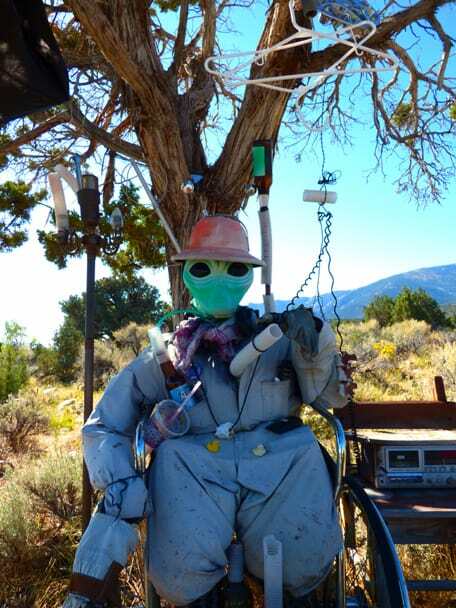 Nevada is a very unique place to visit, where everyone can find something interesting, it contains all those imaginative landscapes. There is also an amazing wild life experience; big horn sheep, wild horses, donkeys, antelope, deer, and cattle freely roaming the landscape. Although primarily a mild desert, the landscape of Nevada offers many beautiful wild flowers and animals, as well as pockets of deep forests. The climate remains hot during summer and very cold during winters. 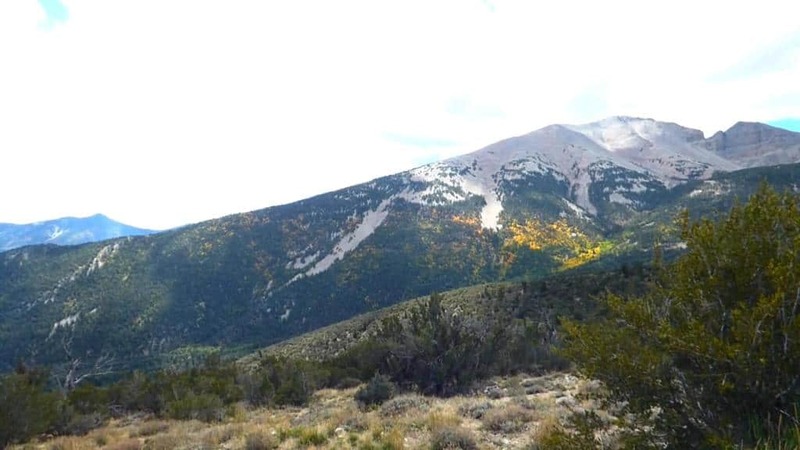 Mountains remain covered with snow during winters; the name Nevada means “snowy”. You’ll fall in love with Nevada, especially if you are a rock hound. Nevada is well known for it’s rich deposits of precious metals, and semi-precious stones. Treasures of turquoise and other minerals, around it’s ghost towns and abandoned mines, are free for the taking. Famous for mineral and metal production the world over, Nevada is known for producing the most brilliant, semi-precious stones. One example, there is free BLM boondocking at Garnet Hill, near the town of Ely. It’s an internationally renowned site for garnets, where you can find the red semi-precious stones in the rocky outcroppings. The garnets are usually found as single crystals within small cavities in the rhyolite rock. However, they weather and wash out of the rock, so you can find garnets scattered on the ground. Garnet Hill is 7,000′ in elevation, up a steep grade, and the camping sites are only suitable for smaller rigs. You can gather amazing memories, exploring the world of ancient fossils, at the Berlin-Ichthyosaur State Park. These “Loch Ness monster” like marine dinosaurs lived in a warm inland sea, which covered the state of Nevada 225 million years ago. Visitors from all over the world come to see the park’s Fossil House. A nature trail goes between the Fossil House to the free RV campground. Just south of Caliente on US 93, is the Oak Spring Trilobite site. This free BLM campsite, is laden with free for the taking fossils. 500 million years ago, this area was completely under an inland sea. The fossils at Oak Springs are the remains of trilobites, that lived in this sea bed. Trilobites are a type of small crustacean, with shells similar to a horseshoe crab. If you like spectacular rock formations, no need to leave the state of Nevada! 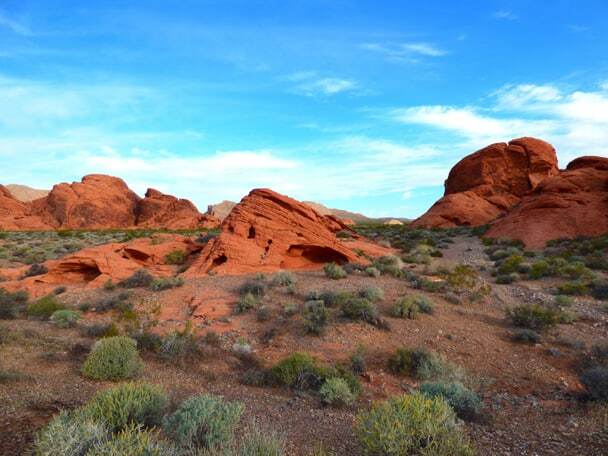 The Valley of Fire is just 58 miles Northeast of Las Vegas, near the town of Overton. Dedicated in 1935, the Valley of Fire is the oldest Nevada State Park; it was named for the mind blowing red sandstone rock formations. These were formed from great, red shifting sand dunes. This was more than 150 million years ago, during the age of the dinosaurs. This area was sacred to the Native Americans living in the rich, Moapa Valley wetlands. In fact, they have left numerous petroglyphs etched in the red sandstone of the Valley of Fire. Nevada also has many, many ghost towns, relics of it’s mining past. Nevada can be the most amazing experience, for those who see the world from a different perspective. It’s not uncommon to happen upon long forgotten log cabins, dry rotted miner’s shacks, and rusting Model A cars, in long forgotten hamlets along the amazing network of dirt roads. There is BLM land around the ghost town of Rhyolite, suitable for RV camping. However, the town itself is designated “day use only.” Rhyolite is located 4 miles west, of Beatty on NV 374. The ghost towns of Manhattan and Belmont are south of Austin, and north of Tonopah. Pine Creek campground is free, and located some 20 miles to the north. Manhattan also has an RV park and a modern motel. To get there from Tonopah, take Hwy 6 east, then go north on State Route 376 for about 60 miles, then go right on State Route 377. Nearby Belmont hosts a bed and breakfast, saloon.